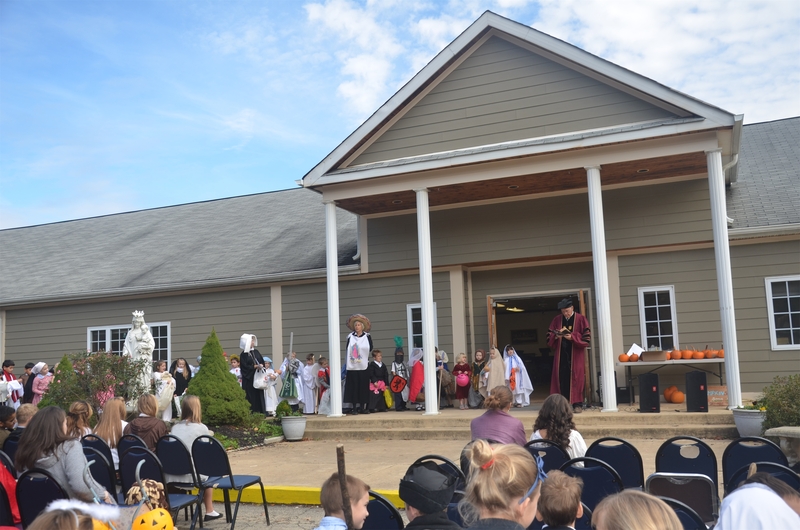 School will close at noon on Friday, October 31st to allow for chapel-related plumbing work, so the All Saints’ Celebration will now be held at 1:00 p.m. on Thursday, October 30th. Students should wear their uniforms to school and will change into their costumes at lunchtime. Your child should bring a bag to collect candy in. We recommend parents bring at least 250 pieces of candy to distribute. Little siblings are welcome to attend! By holyfamilyacademy in Extra Curricular on October 29, 2014 .